I know the importance of housing affordability in the District. Most members of my family have been forced out of the city because of the lack of affordable housing. My family is far from unique in this respect. Despite substantial investments by the city, affordable housing is getting harder to find with each passing year. 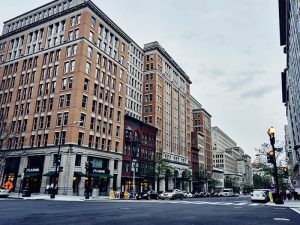 The skyrocketing price of housing has exacerbated the underlying inequality in the District as many families have to make the choice between paying rent or buying food, clothing, and other necessities. I tasked the Affordable Housing Subcommittee with finding solutions to address our affordable housing crisis. The Subcommittee identified a number of reforms that can preserve the affordable housing we have, accelerate the production of new affordable housing, and ensure that we protect tenants’ rights as the city continues to change. Adjust property taxes on affordable housing properties to promote maintenance and quicker development of these community assets. Develop a database of affordable and rent-controlled housing units in the District to track our stock of affordable housing so we can measure gains or losses each year. Provide additional support to non-profit legal organizations to represent tenants in the process of exercising their TOPA rights.